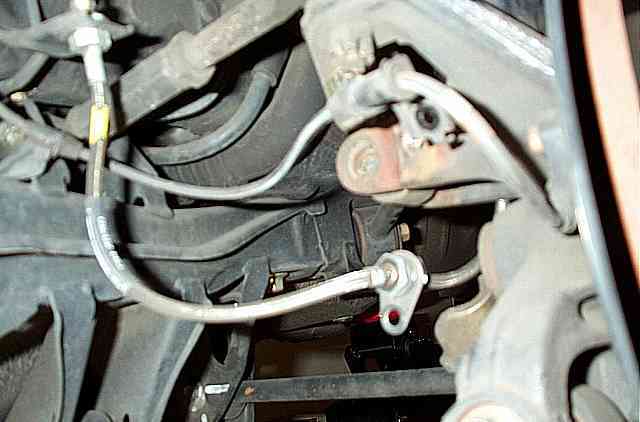 The rear swaybar endlink suspension bracket broke off. I'm not sure how many people this has happened to, I wouldn't be surprised if there were more. Looking at the bracket itself, the metal is relatively thin, but then again, so is the endlink itself. I've heard of a few people snapping the endlinks. Most will probably not need this diy guide, but since I have the pics, I'll go ahead and post this up. Tools needed: Ratchet set, hex (allen) set. Step1: Jack up the rear of the vehicle and place it on jack stands. 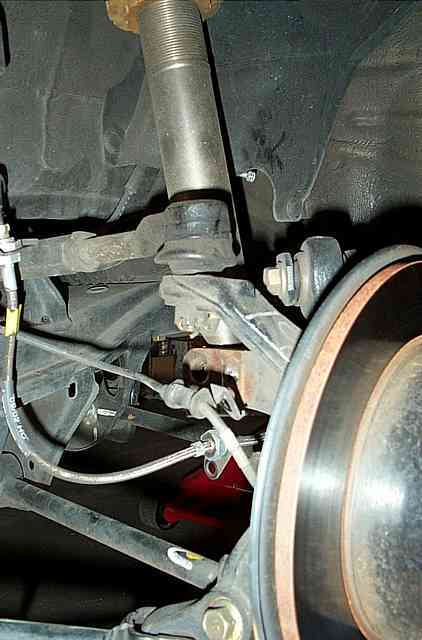 Place the wheels in front of the jack stands under the car for added safety. Step3: Unbolt the bottom shock bolt first. 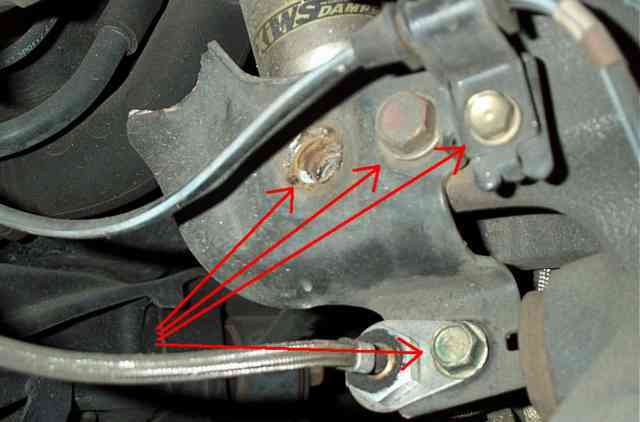 You don't need to completely remove the bolt, just enough to unthread it from the bracket. 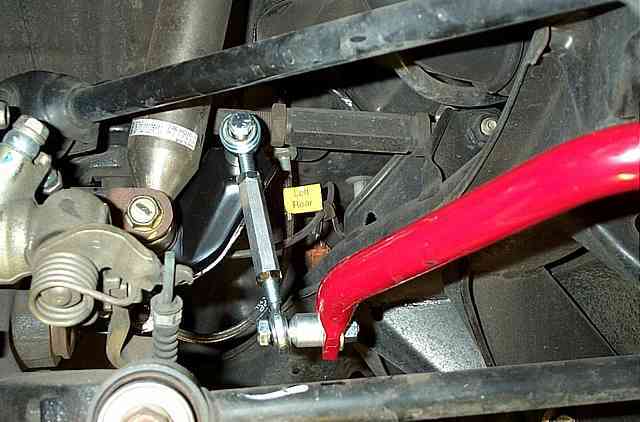 This will save you some headache of trying to realign the hole from the shock to the hole on the wheel hub. Step4: Unbolt the other 3 bolts and remove the bracket. Step6: Reinstall the new bracket. Bottom shock bolt - 43 ft. lbs. Bracket to hub - 35 ft. lbs. 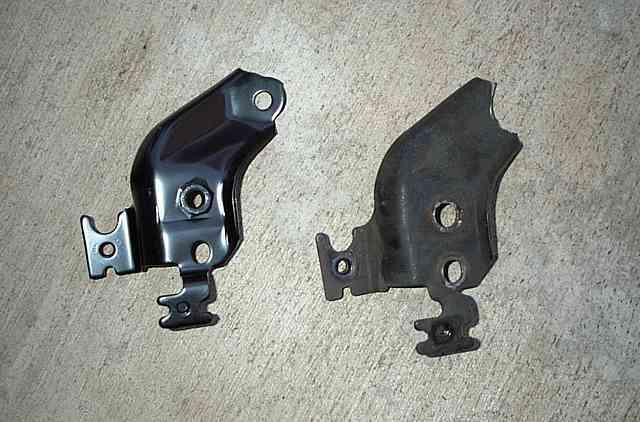 Brake hose bracket - light. 9 ft. lbs. Endlink to bracket - 28 ft. lbs.